It finally happened. After searching for the perfect car in West Palm Beach, Florida, you’ve found your new trusty VW. But before the celebrations can begin, you must decide: Should you lease or finance? While this is an important decision, that doesn’t mean it has to be a stressful one. 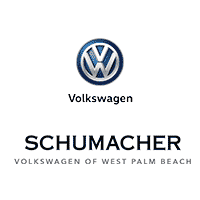 At Schumacher Volkswagen of West Palm Beach, we’re here to make driving home in your new car a breeze. The first step? Learning what a lease agreement or finance plan entails. You pay lower or no repair costs, thanks to factory warranties. You have lower monthly payments. You only pay sales tax on the portion of the car you finance. You can switch to a different model at the end of the lease. Some lease agreements include mileage and customization restrictions. You’ll have to return the car when the lease is up. You’ll own the vehicle one you’ve completed the payments. You’ll have no mileage restrictions. You’ll have no customization restrictions. Whether you choose to lease or buy your car, we’re here to help. 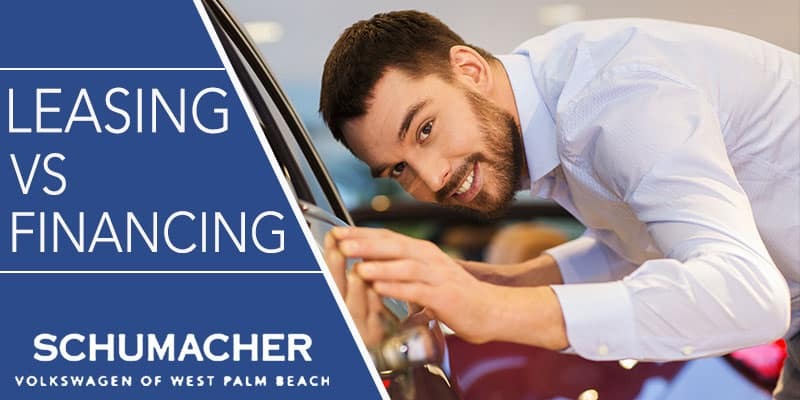 At Schumacher Volkswagen of West Palm Beach in Florida, our staff of finance professionals are ready and willing to craft the perfect payment plan for your budget. Next, contact us online, give us a call at (844) 807-6811, or stop by our dealership at 3001 Okeechobee Blvd. We’re happy to answer all of your questions and get started on your lease agreement or auto loan.